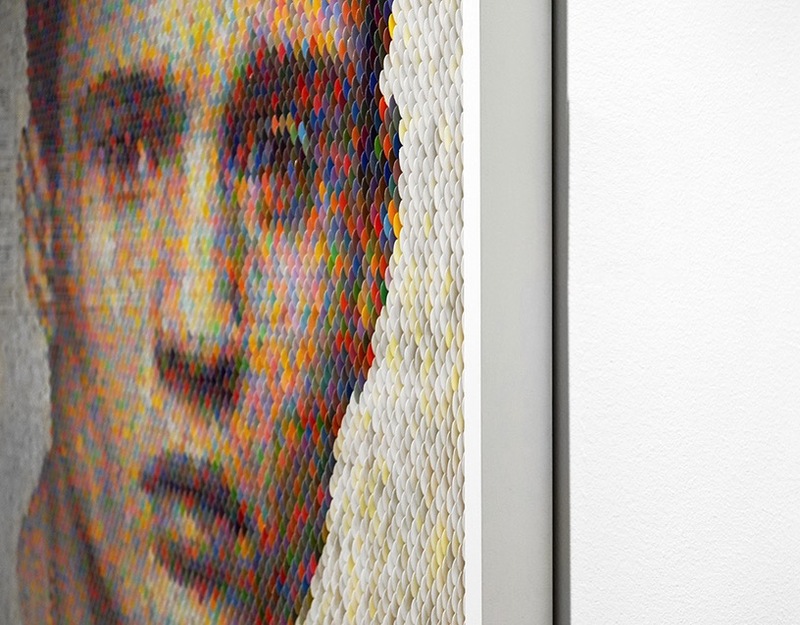 Peter Combe creates complex optical illusions with layered paint chip portraits #ArtTuesday « Adafruit Industries – Makers, hackers, artists, designers and engineers! consumed by ‘the subtle magic that occurs when playing with light, color and movement’, san francisco-based artist peter combe forms illusionary impressions using thousands of paint swatches. at SCOPE miami beach, robert fontaine gallery presents a selection of combe’s striking portraits that subtly transform as the viewer shifts in perspective and vantage point.